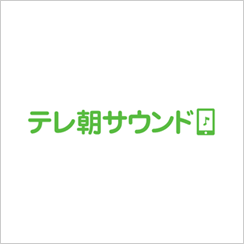 Contents Download Service｜TV ASAHI MUSIC CO., LTD. This is our official ring-tone melody service website. On this site, TV ASAHI MUSIC has been offering download services of its original songs and tie-up songs from its TV programs’theme songs and insert songs. We support the following Smartphones; docomo, au and SftBank. by specific models of latest Smartphones only.